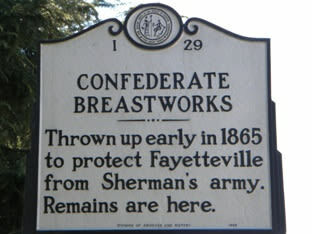 A historic breastworks located on the grounds of the Fayetteville Veterans Administration Hospital behind the main building. 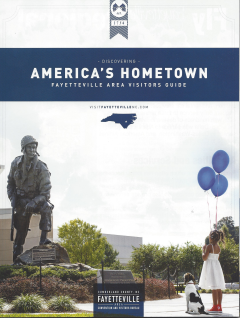 They were built in March 1865 as part of the fortification of Fayetteville by the Confederate army to protect the city against the oncoming forces led by General William Tecumseh Sherman. It was listed on the National Register of Historic Places in 1985.